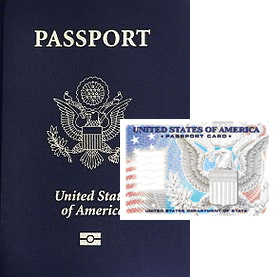 As a service to the community, the Connetquot Public Library accepts new passport applications on behalf of the U.S. Department of State. 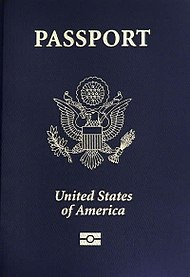 For full passport application details, visit the State Department’s website, travel.state.gov. You can also call the National Passport Information Center at 1-877-487-2778. Application: Application DS-11 may be filled out online and then printed single-sided. The library can provide a paper application which must be filled out in black ink with no whiteout or cross outs. Do not sign the application until asked to do so by an agent. Original proof of citizenship: This includes certified, original, or long form birth certificates; naturalization papers; or a U.S. passport for applicants over the age of 16. Your original documents will be mailed to the Department of State and will be returned to you. You must also bring a photocopy of your proof of citizenship. Current passport photo: The library provides photo services for $10 per applicant. If you wish to bring your own photograph, refer to the Department of State’s guidelines. Photographs must be 2x2, taken with the last 6 months, with a plain white background. No eyeglasses, uniforms, camouflage, or hats may be worn. Additional documentation is required for minors under the age of 16. Both parents must be present. There are two fees, one payable to the Department of State (check or money orders only) and one payable to the Connetquot Public Library. * Passport Card: For land or sea travel to Mexico, Canada, the Caribbean, and Bermuda. Cannot be used for air travel. If you are traveling within 2 weeks and need an emergency passport, the library cannot process the application. You must make an appointment with the New York Passport Agency. You must show proof of travel (i.e. airline tickets).